Never miss a thing that’s AVFC. Whilst it’s refreshing that Villa find themselves not needing to make wholesale change during this transfer window, it doesn’t stop the rumours! Also, with Bruce looking to cement Villa as firm promotion candidates, rule nothing out as the club looks to take no chances with promotion being the priority this season. A rising talent in League 1, Dack is currently starring for Blackburn Rovers as they chase promotion back to The Championship. The midfielder has caught the eye in League 1, winning awards & plaudits at youth level before standout performances for Gillingham last season saw the 24 year old win both League 1 Player of The Season & feature in the divisions Team Of The Year. This progress earned him a £750k move to Rovers, where his excellent form has continued. Villa currently have ample midfield cover, but with recurring injury to Mile Jedinak, indifferent form from Whelan & Bjarnason’s only recent progress, Dack could be viewed as a worthwhile gamble. Further, with Henri Lansbury struggling for form and fitness since his arrival, further competition might be seen as healthy – or indeed an opportunity to move on the costly wages of the former Arsenal prodigy. 2017/18: 21 Starts – 11 Goals. Gillingham (2012-16) – 16o apps – 31 Goals. With Sam Johnstone’s future far from certain there are a number of reports indicating that Villa continue to explore goalkeeping options. The latest is a link to yet another Manchester United goalkeeper, this time Dean Henderson, who is currently on loan at League 1 Shrewsbury Town. The 20 year old ‘keeper, out of contract at Old Trafford at the end of the season, is currently impressing between the sticks, with the League 1 side currently 3rd in the league. What is certain is that it’s imperative that Villa resolve the goalkeeping situation. With Johnstone only growing in reputation, Villa will likely have to secure promotion in order to obtain his signature. This leaves the club in an awfully precarious position, with the able deputy Jed Steer the only viable back-up before having to consider the ill-equipped Mark Bunn in goal. In a remarkable disclosure, Steve Bruce revealed that he turned down the opportunity to sign former Arsenal striker Robin Van Persie. The dutch international forward was reportedly offered to Bruce by CEO Keith Wyness, with Van Persie eager to escape Turkish side Fenerbahce. We looked at it and thought long and hard. Let’s be fair, it’s not often you get the availability of someone like Robin van Persie. I just decided that it was better that we look elsewhere. We wish him the best of luck. It was an interesting couple of days. This may prove an ideal moment to reflect on the sudden return to form of Scott Hogan (4 goals in 3 games: Barnsley, Forest & Bristol City). The £12 million signing from Brentford last January has struggled to impose himself to date, but has seized the opportunity with Jonathan Kodjia out with long term injury & Kienan Davis’ early season form faded. With Villa having rejected 34 year old Van Persie, the Premier League/FA Cup winner & Holland’s all time goalscorer has opted to re-join boyhood club Feyenoord on a free transfer. It was thought that Villa’s interest in Van Persie might’ve be lower given the availability of the younger Leandro Ulloa (31) at Leicester this transfer window. However, the Premier League winner finds himself way down the pecking order & is looking to secure first team football with just 20 minutes of action this term. Villa inevitably face competition, with Crystal Palace & last seasons Championship runners up Brighton reported to have entered the race to sign the Argentinian. Career: 368 apps – 121 goals. Declined opportunity to represent Chile. Premier League winner in 2016 with Leicester. Celebrations from a winning goal caused an earthquake. 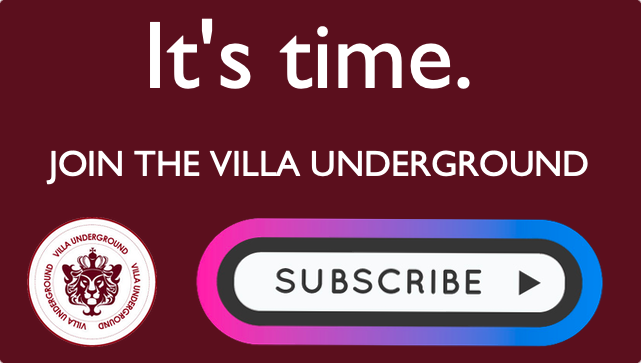 Not joined The Villa Underground weekly email? 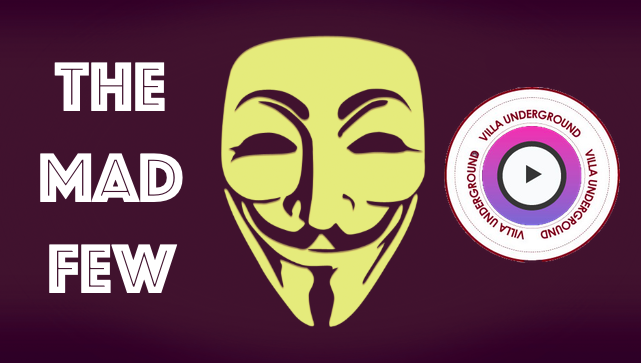 You’re missing out on 100% independent Aston Villa updates to your inbox. Transfers: Tshibola Tanking, McCormack Back, Elphick Out, Tuanzebe In & McKenna link. Villa Transfers: Elphick joins Reading, Tshibola Off Again, Ogbene, Afobe + every other rumour. 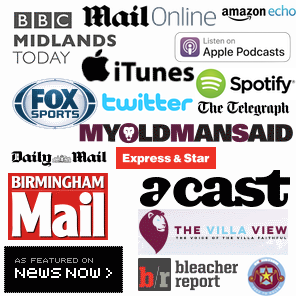 Villa Transfer News: Leandro Ulloa, Nahki Wells Loan, Tommy Elphick To Reading & More. Villa Transfer News: De Laet joins Royal Antwerp on season long loan.